It’s rivalry week! 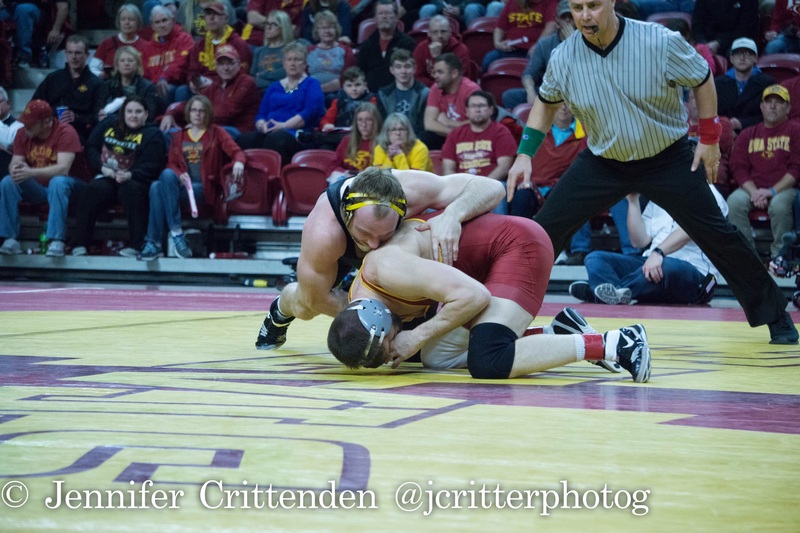 This weekend Kevin Dresser will try and buck a 14 year trend as he leads his Iowa State squad east to Iowa City where he will face a #4 ranked Iowa Hawkeye squad. The Hawkeyes, who haven’t lost to Iowa State under Tom Brands, are coming off of a 26-9 victory over Purdue, while Iowa State was idle last weekend. In their last competition the Cyclones crowned a pair of champions at the Lindenwood Open. The sad news of the week centers on the news that All-American Michael Kemerer’s season is officially done due to surgery. Losing the junior is a blow to Iowa’s team potential in both a dual and tournament format, espeically when the team has also postponed the debut of other big names such as Jacob Warner and Sam Stoll to this point too. Of the last pair, only Warner was listed as a potential starter in this week’s press release. That leaves the Hawkeyes with freshmen backups Myles Wilson and Aaron Costello for Kemerer and Stoll respectively to continue to fill in. Costello should be very familiar with his projected opponent at this point as he and Cyclone starter Gannon Gremmel have crossed paths on numerous occasions dating back to the youth wrestling days. Both are products of the Dubuque area with Gremmel being a graduate of Dubuque Hempstead, and Costello a graduate of Western Dubuque. 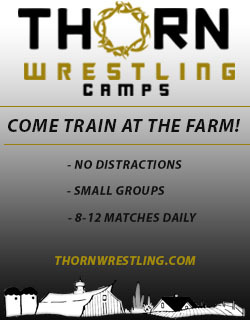 Despite Iowa being without their #12 ranked Warner at 197 pounds the Hawkeyes found plenty of production in backup Mitch Bowman last weekend, who came up from 184 pounds and knocked off the then #9 ranked Christian Brunner of Purdue. This weekend’s opponent is the #5 ranked Willie Miklus, so we will see if this is the weekend Brands opts to unleash his redshirt freshman. Last year Warner defeated Miklus at the Lindenwood tournament by major decision. The last remaining question for Iowa is whether or not Spencer Lee (125) and Pat Lugo (149) will be healthy enough to go on Saturday. Both Lee and Lugo were surprise scratches from Iowa’s projected lineup last weekend against Purdue. In their stead Perez Perez and Carter Happel filled in respectively, with Happel coming away with a win. Both Perez and Happel once again found their names listed alongside regular starters in this week’s press release. Despite wrestling off a 141 pounds, Happel bumped up to 149 and downed Parker Filius, 2-0. If Happel gets the call once again this weekend he could be facing off against his second straight Montana native in Iowa State’s Jarrett Degen. 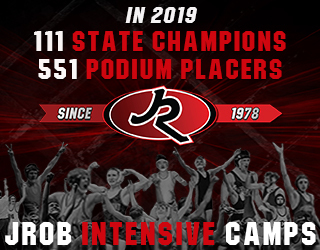 These two met a couple of times their senior year of high school with Degen coming away with a victory in Carver-Hawkeye Arena at the Night of Conflict. Happel later returned the favor at Fargo in what was a wild freestyle match. This is a rivalry dual so there are going to be several interesting matches to watch for up and down the lineup, but two matches receiving a lot of attention coming in are the head-to-head meetings at both 133 and 141 pounds. 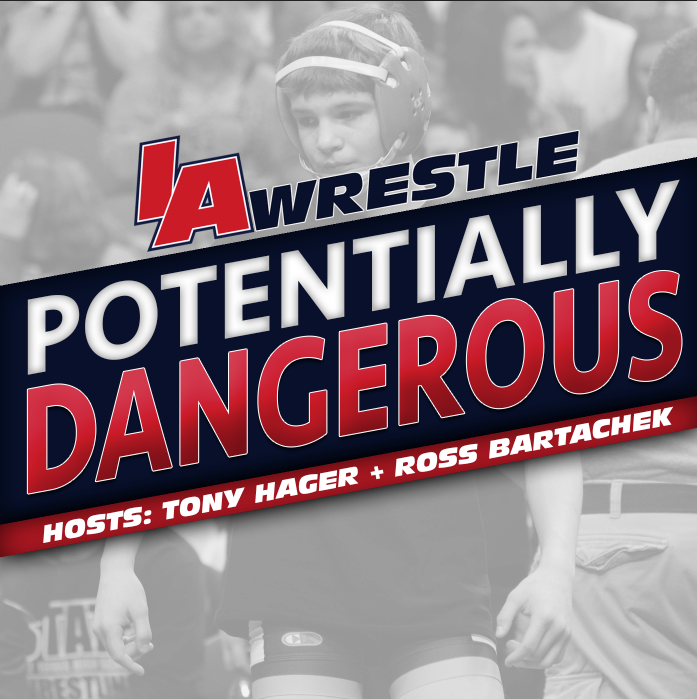 Both matches are viewed as potential measuring stick opportunities for wrestlers on both sides of the matchup as all four wrestlers are looking to build their resumes. At 133 pounds its redshirt freshman Austin Gomez looking to knock off Hawkeye sophomore Austin DeSanto, in what would certainly be a signature moment in his young career. DeSanto has the more proven track record of the pair, but expectations for the Cyclone are sky high, especially after his big summer where he qualified to compete for Team USA at the Junior World Championships. This is the first big test for Gomez and it comes in a highly unfavorable environment of Carver-Hawkeye. 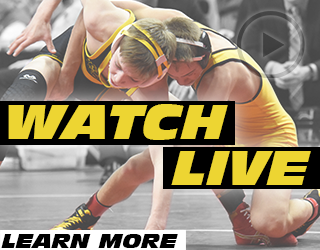 The other big match to watch is the 141-pound bout between Max Murin and Ian Parker. Last year Parker had a coming out moment his first weekend at 141 when he defeated two-time NCAA champion Dean Heil, but he hasn’t been able to add to his resume. That opportunity will be for the taking this weekend as Murin enters this dual ranked #8 in the country. For the Hawkeye freshman this will be a big moment to see if he can deliver in his first rivalry dual against a known giant slayer. November 29, 2018 in Iowa Hawkeyes, Iowa State Cyclones.